Hey, Have You Seen Henry Wadsworth Longfellow's Dead Parents? You wouldn’t happen to know the whereabouts of the bodies of Stephen and Zilpha Longfellow, parents of the famous poet Henry Wadsworth Longfellow, would you? Because they aren’t where they’re supposed to be. 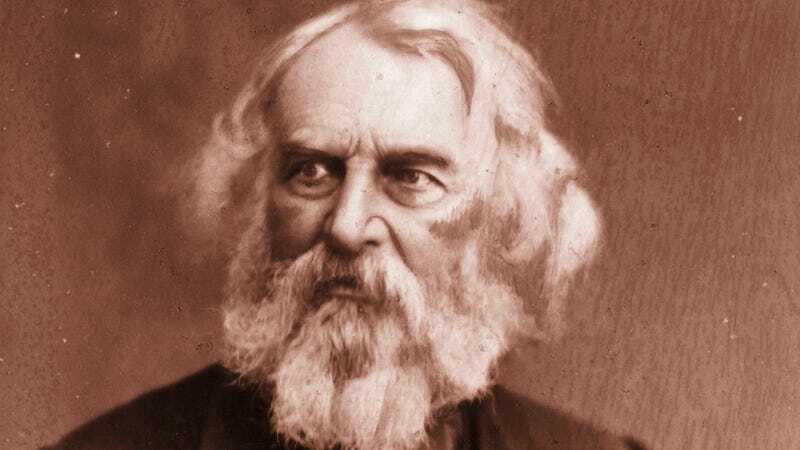 An historian studying the family of Henry Wadsworth Longfellow said Thursday that he could not find the bodies of the poet’s parents, thought for years to be in a tomb at a local cemetery. The historian, William B. Jordan Jr., a professor of history at Westbrook College who is also a director of the Society for the Preservation of Portland Cemeteries, said Longfellow’s parents, two brothers, an aunt and an infant grandniece were believed to be in an old tomb at Western Cemetery, an old burial ground that was closed before the turn of the century. When officials entered the tomb earlier this summer, Mr. Jordan said, it was empty. Perhaps Longfellow’s parents have resurfaced sometime in the last thirty years and it’s just not popping up in my quick scan of newspaper archives. If you have any information as to their current whereabouts, please do share. In the meantime, enjoy Bennett’s video. Teenage Edith Wharton Would Have Made Amazing "Gossip Girl"
Searching For the Dead in Witch City: A Weekend in Salem, Mass.